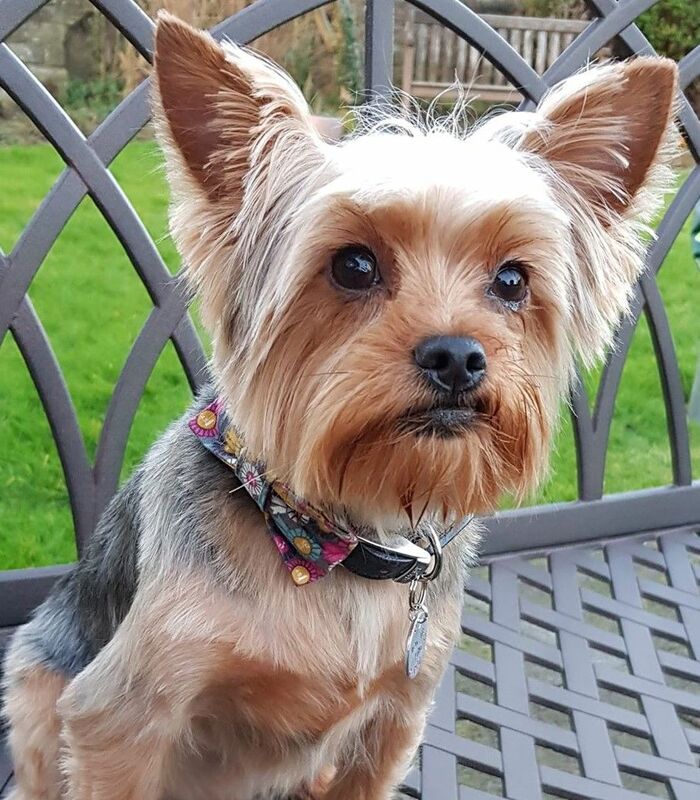 A beautiful and luxurious, premium Prize Rosette dog Bow Tie. 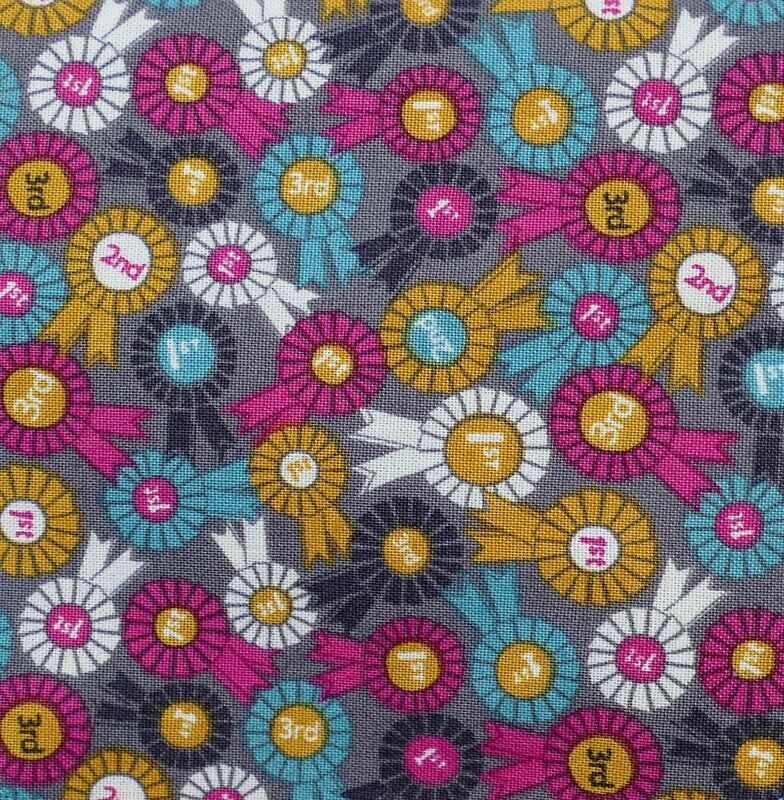 It has a soft grey background with an all over print of little rosettes in turquoise, pinky red, golden yellow, black & white. 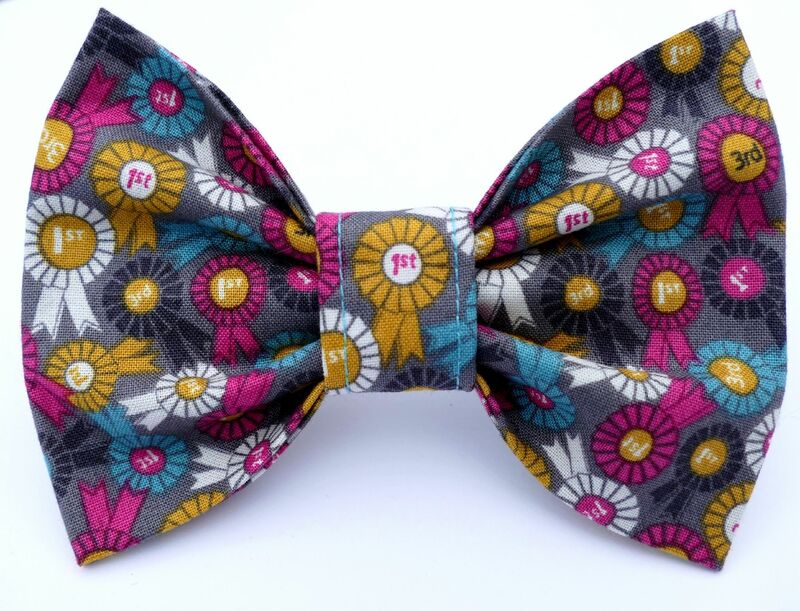 This is a very special bow tie, perfect for your number 1 dog! It's a stunning design, and is a lovely accessory for dogs or cats.